I've handcreated and charged your oil with specific intent, love, light, and positivity and they are individually designed to bring only the best to you for your highest and greatest good! There are multiple ways to use your new oil but most people choose to use them to anoint themselves, objects (like a wallet or money), or candles for candle magick. Write down exactly what you want and are asking for on a piece of paper and tuck it away in a place where you don't normally look (examples: tucked away in a desk drawer, closet, hidden in a pillowcase, etc.). 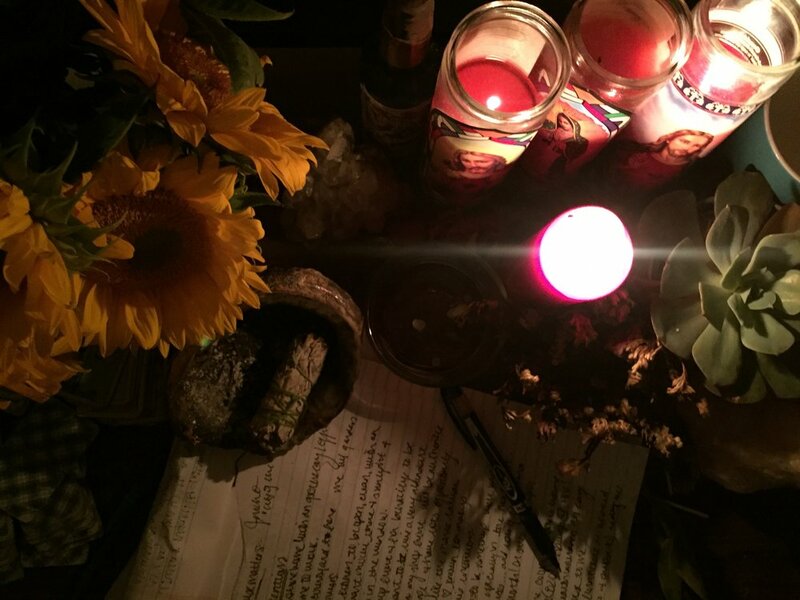 It's important that you spend time visualizing and physically writing down your intention(s) during a quiet moment even if you are receiving a custom charged oil from me. These two energies will work powerfully together- despite distance, time, or experience!! You can't mess up with this- just feel it from your heart and your desire will not miss you! You do not need to set intentions at the same time I'm creating or have created your oil. Energy knows no time or distance limitations so you can set your own personal intentions now or later! Intentions have no expiration date! When you use the oil think of the intentions that you have set and visualize your wish coming to life! For attraction to help nudge a specific person to you (remember, you can't- and shouldn't try- to control anyone! These oils simply plant the seed. If they want to love you, they will. If not, please don't abuse my oils, yourself, or the other person by trying to force it!). In addition to what you want to see happen in your relationship with them, write them a heart felt letter telling them how you feel and what you would like from them (for example: forgiveness, support, quality time together, attention, romance, etc.). but don't actually give it to them! Tuck the letter away somewhere safe and leave alone. When that person manifests in your life you can leave the letter of intent alone or tweak it by writing a new letter of intent for what you would like to see come from the relationship. You can rub a thin layer into your skin daily or in your hair roots while visualizing the intention that you've sent! Mantras are excellent for this! For example, a mantra to use for attracting love and romance to you could be, "I draw soul mate love to me effortlessly now. The action I take today brings the love of life into my arms now! I saw yes to love! Thank you!" You can add the oil to bath oil (a little goes a long way!) and visualize what you wish to manifest in your lives during your soak! Hair Care & Deep Condition! Need a little extra guidance? Watch this video that I created for you! Don't forget to subscribe to the BehatiLife YouTube channel- it is quickly growing! Browse my Authentic Intention Oils..